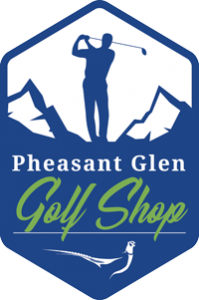 Pheasant Glen Golf Resort is the ideal location to get away from it all and just play golf. With no roads and no houses lining the fairways, you can enjoy peaceful and challenging golf at its natural best, in an atmosphere built around warm friendly service. See key information below about getting here, partner hotels, and area information for finding a chauffeur and learning more about golfing on Vancouver Island. Our team of professional staff are ready to ensure you enjoy your golf get-away with Pheasant Glen. Pheasant Glen Golf Resort is located in beautiful Qualicum Beach, Vancouver Island’s Garden Village and can be reached easily by air, land or water. Traveling either direction on Highway 19 (Inland Island Highway), watch for Exit 60 (Qualicum Beach). After exiting and driving towards the Strait of Georgia, watch for roadside signs. 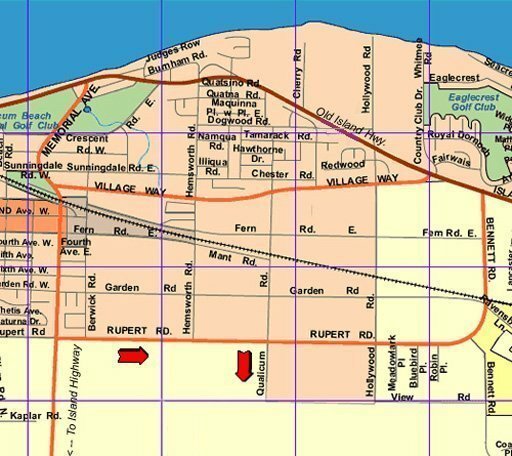 Take the first right turn (Rupert Road) as you head towards the water and Qualicum Beach.  As you drive along Rupert Road take the first right turn (Qualicum Road) and follow it into Pheasant Glen Golf Resort. From Horsehoe Bay: BC Ferries has 8 sailings daily in each direction starting at 6:30 AM with the last one leaving at 9 PM. Arriving at the Departure Bay Terminal in Nanaimo after a 1 hour and 40 minute trip, follow Highway 19 towards Parksville / Qualicum Beach. It is approximately a 30 minute drive. From Tsawwassen: BC Ferries has 8 sailings daily in each direction starting at 5:30 AM with the final sailing being at 10:45 PM. Arriving at the Duke Point Terminal after a 2 hour trip follow the signs to Highway 19 and follow it up the Island to the Parksville / Qualicum Beach area. Westjet Airlines flies to Comox International Airport twice each day from Calgary. With Calgary being a Westjet hub, it is easy to book connecting flights from anywhere in western Canada for a morning arrival. Comox Airport is served by both National and Budget car Rentals and is a 45 minute drive from Pheasant Glen Golf Resort. KD Air services Qualicum Beach from the South terminal at Vancouver International Airport 5 times daily Monday through Fridays and 4 times daily on weekends. The Qualicum Beach Airport Terminal is 5 minutes from Pheasant Glen Golf Resort. Discover yourself in Parksville, BC, where hospitality comes with a view at the Bayside Oceanfront Inn. The Bayside offers beachfront accommodation, ocean views and great food all in one location. Sleep in. Beachcomb. Golf. Keep fit in the cardio room, heated pool or racquet courts. Hold hands. Enjoy casual gourmet dining overlooking the bay. Beach Acres Resort is situated on 23 forested waterfront acres on one of the Island’s most spectacular sandy beaches. Recreation facilities include an indoor heated pool, whirlpool, sauna, three tennis courts, badminton, volleyball, sand volleyball and basketball courts, outdoor shuffleboards and a playground. Complimentary fitness passes for The Fitness Connection in Parskville are also available to all guests. Additional amenities include two meeting rooms and an on-site restaurant. Located on Vancouver Island, British Columbia on the beach with a long history of providing quality accommodation. The Buena Vista – By the Sea provides a seaside resort vacation, including; fishing, kayaking, golf, and hiking. The motel resort has its own private walk onto the beach. It has personally appointed self-contained one and two bedroom suites with full kitchen facilities, which are available all year long on Vancouver Island. The Casa Grande Inn is located at the heart of Vancouver Island on the scenic Oceanside Highway, minutes from picture perfect downtown Qualicum Beach, golfing and fishing. Restaurants are within walking distance. 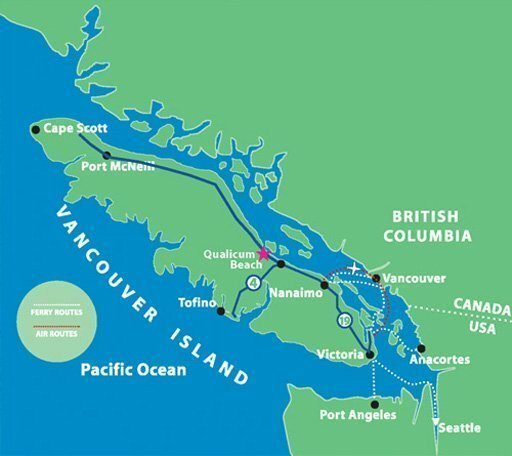 As we are centrally located, make us your destination base while exploring Vancouver Island. Ideally located on the tranquil waters of the East Coast of Vancouver Island, Pacific Shores Resort & Spa offers an island escape to soothe your soul and ease your spirit. Stroll among 15 acres of lush botanical gardens, experience the allure of the ocean-side heated thermal pools, or simply head back to your luxurious suite to curl up by the fire. Spread out over 22 acres, the resort consists of a wide range of accommodations; including traditional log cottages with wood burning fireplaces, Condominiums with panoramic views of miles of sandy beach, and luxurious Spa Bungalows that surround The Grotto Spa, the largest resort spa in British Columbia. From the world class hotels and colonial charm of Victoria in the south to the world famous fishing and seaside ambiance of Campbell River in the north, Vancouver Island has the destinations and golf you are looking for – no wonder it was named as the #1 Island destination in North America and #3 in the world by Travel and Leisure Magazine! You’re invited to Come Out to Play in Oceanside. Whether play means a round of golf, a stroll through tranquil forests, building a sandcastle on one of our warm, sandy beaches, or just watching the waves roll in… this charming collection of beachfront communities was made for awakening your sense of wonder and delight. Nature has blessed the Vancouver Island Region with natural beauty, mild climate, and friendly people, ensuring this destination is one you’ll never forget – everyone needs a little Island time.